Distortion is one of those effects that can have a use in any recording or music production setting. Even if you aren’t particularly into brash and dirty sounds, distortion plugins will have value for warming up sounds and introducing a bit of analog-style tone and response to your productions. 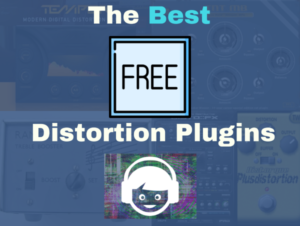 Here we rundown some of the best free distortion VST plugins available. 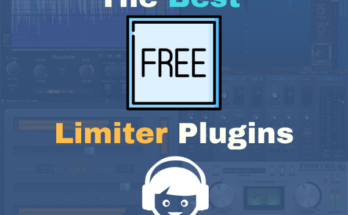 Whether you are looking to give your tracks a slight edge or you are after total industrial mayhem, these plug-ins will deliver at a price that your wallet will love. Distortion plug-ins replicate the sound of analog circuitry being pushed to the limit. With tube amps or op-amp circuits, feeding excessively high levels early on in the chain results in a warm, gritty, and present sound that sounds bigger, louder, and more exciting. Distortion is used to marvelous, effect by guitarists, but it can also add life to synth parts, drums, and even vocals. In fact, if you work in a studio long enough, you would be hard pressed to think of a sound source that wouldn’t benefit from varying degrees of distortion in some way. 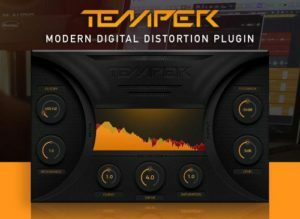 Creative Intent’s Temper Distortion is a distortion plug-in that has a rich saturation stage. The variable saturation curve helps produce a warmer and edgier sound than most distortion plug-ins are capable of. It also employs phase distortion that helps enhance clarity and produces a more characterful drive. A resonant lowpass filter and a feedback control further aids in tone shaping. One of the best qualities of Temper is how it can be pushed to extreme levels of distortion while still retaining clarity. As far as digital distortions go, this is one of the few that manages to be pleasant sounding even as it mangles your sound. TNT by Ourafilmes was originally intended as a drum and distortion plug-in that is also useful for creating special effects. It is actually a suite of distortion plug-ins consisting of a single band and a multi-band unit, each of which come in mono and stereo versions. The single band version is further enhanced with the addition of a tone knob. Later versions of the plug-in come with a 6dB crossover filter that enables the separation of the low and high bands. 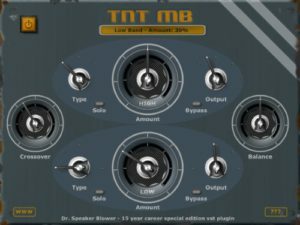 With the ability to set different saturation algorithms for each band, TNT is quite a bit more versatile than your typical distortion plug-in. 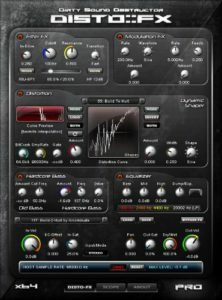 Audio Damage is well known for its quality plug-ins, and FuzzPlus 3 holds up the company’s reputation admirably. An updated version of the company’s original FuzzPlus pedal emulation, the FuzzPlus delivers the same great-sounding fuzzy distortion and enhances it with a filter modeled after the filter on Korg’s classic Microsoft-20 analog synthesizer. Along with the ability to feed the processed signal back to the distortion circuitry, this results in increased sound-shaping possibilities. The FuzzPlus 3 works amazingly well for processing drum loops and synths, transforming them into weird and wonderfully bizarre rhythms and textures. But it is also quite capable of restraint, producing subtle saturations and tonal coloration when adjusted to moderate settings. 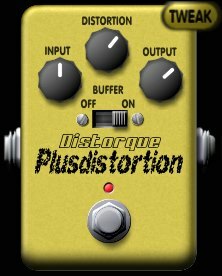 Distorque’s Plusdistortion is a plug-in emulation of the MXR Distortion+ pedal, which is favored by guitarists for its wide range of tones. From light grit to all-out fuzz, the Distortion+ pretty much covers all the bases, and Plusdistortion is every bit as versatile. The secret to the Distortion+ is the germanium diode clipping circuitry and the lo-fi op amp that produce the pedal’s distinctly characterful tone. The Plusdistortion somehow manages to capture the spirit of the pedal, with the added tweakability afforded by software. 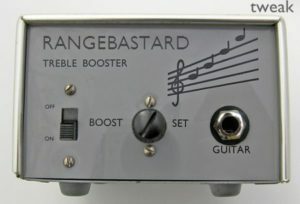 Also from Distorque is Rangebastard, which is an emulation of another classic guitarists’ tool, the Dallas Rangemaster. Like the Plusdistortion, the Rangebastard builds on the tone-shaping capabilities of the original with added features and tweakability. With 2x oversampling, stereo and mono modes, and controls for input filtering, transistor, and even grid current, the Rangebastard is pretty much the Dallas Rangemaster on steroids. 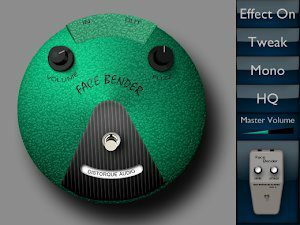 More mangled textures are in the offing from Distorque, by way of the Face Bender. Fans of classic fuzz pedal circuits will recognize the name as a combination of the Fuzz Face and Tone Bender MKII, both of which are still highly regarded in the guitar world. Like those two pedals, the Face Bender delivers nasty, spitting distortion that walks the fine line between musicality and all-out sonic mayhem. Full-on, retro-style fuzz is the primary domain of this plug-in, but it can also be dialed back for more tasteful saturation. Finally, DistoCore’s Disto::FX is every bit the “Dirty Sound Destructor” as the marketing copy so proudly boasts. Designed for all-out sonic assault, this is a loud and proud distortion plug-in that specializes in a surprising variety of distortion flavors. Creative Intent’s Temper Distortion is the clear winner in this roundup. With the ability to get as down and dirty as any of them, it also cleans up nicely for more sedate and sensible saturation. This is not to say that the rest of the entrants are slouches. Ourafilmes’ TNT and Audio Damage’s FuzzPlus 3 are certainly quite capable of delivering everything from a slight touch of grit to end-of-the-world sonic devastation. Distorque’s pedal emulations for their part are all potentially useful for more traditional, stomp box flavors. And you just gotta love Disto::FX’s ability to make a heaving, bristling mess out of anything. So while Temper Distortion gets the nod as our “top pick”, we wholeheartedly suggest that you download them all and have all your distortion bases covered. After all, you can’t beat the price!